White Tea is derived from the first flush buds of the tea bush. It isn’t rolled first but is immediately fired so there is no withering or fermentation/oxidation. Availability is limited and the cost high as a result of the limitations of the plucking standard. There is no rolling, breaking, or bruising of any kind. The name refers to the silver-colored (white) hairs on the picked tea bud. 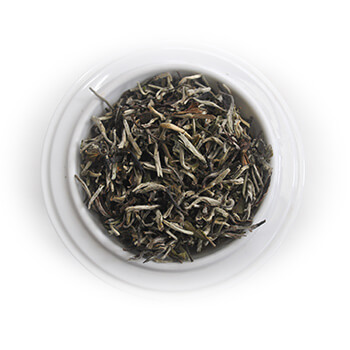 The liquor of White Tea is very pale in color, and mild tasting in the cup, reminiscent of Magnolia.